Great light and shadows. You are much better than I am. I certainly would not have taken the time to get the tripod. Smile. Wow, great long exposure! That is an area I have not worked on yet. And in the freezing temperature! Love the light and dark. love the capture of the light and shadows. @henrir Actually the first 5 shots were hand held and sooo not worth digital time and space, that is when I went back inside for the tripod and made my poor pup wait inside while I took my next shots. @jernst1779 I tried without the tripod and got lots of soft out of focus results. I am lucky that my camera closet is downstairs so within easy grabbing. I figured to bracket was my best option. @yaorenliu Thank you so much. The full moon really is a huge light. @samae Thank you a great deal. @s4sayer The photo luck gods were on my side this morning. Riley wasn't all that happy about being made to stay inside while I got my shots but a bit of turkey was a special treat for her trouble. @tstb13 Thank you so kindly. 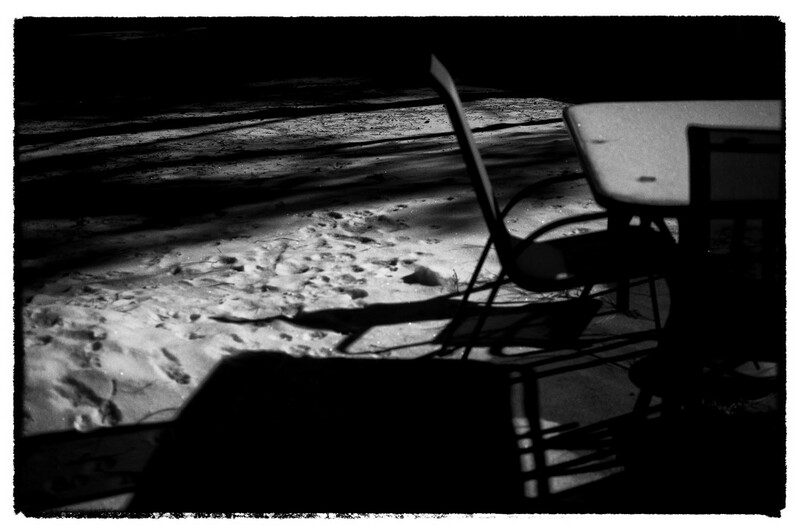 @jo38 The wind hasn't kicked up yet so it was just so quiet and cold that I got what I wanted and then made coffee. Very grateful, thank you. Nice job! Great light and shadows. @kmwilliams Thank you, the moon was just so bright. @eudora Thank you s great deal. A bit cool for a picnic! @pusspup and early too but when the moon shines so brightly it is best to appreciate it.